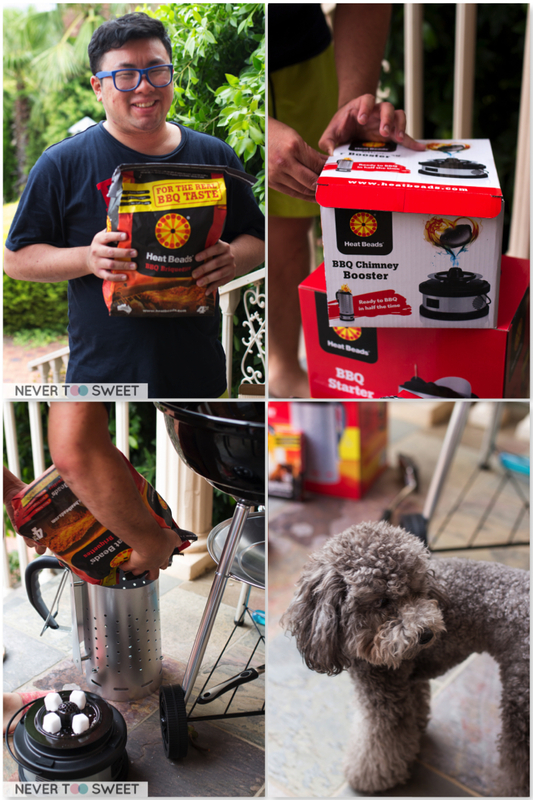 My Dear Readers this is part two to my previous post about cooking on the weber and using a kettle 🙂 I kid you not it was not planned but Barbeques Galore contacted me just before Heatbeads® did, to help them create a recipe on the weber. First thing I think about making is of course dessert but haha once again I’m clueless at this barbecuing business…so again I consulted Annoying Uncle and other colleagues. Clearly desserts weren’t their forte because these middle aged men kept steering the conversation back to roast pork, pulled pork and all other savoury things! Focus men! 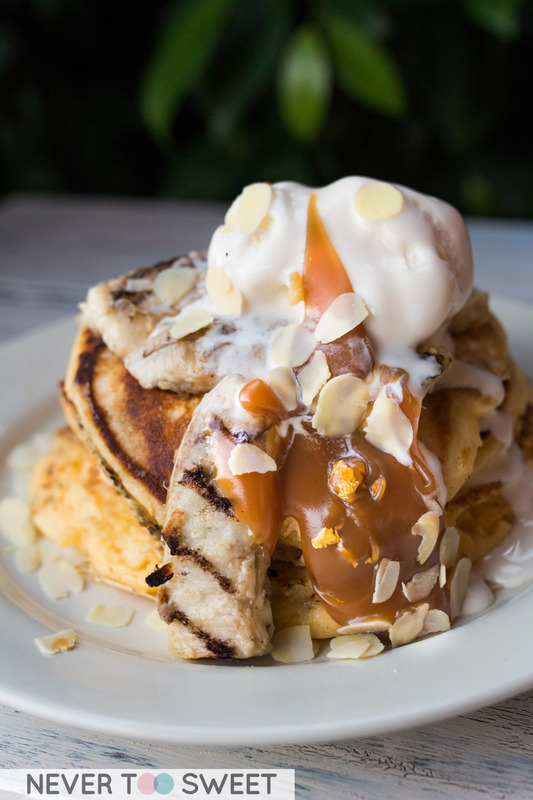 I need dessert recipes and ideas haha so I edited up coming up with the thought of making pancakes on the grill, topped with grilled banana, ice-cream and salted caramel! 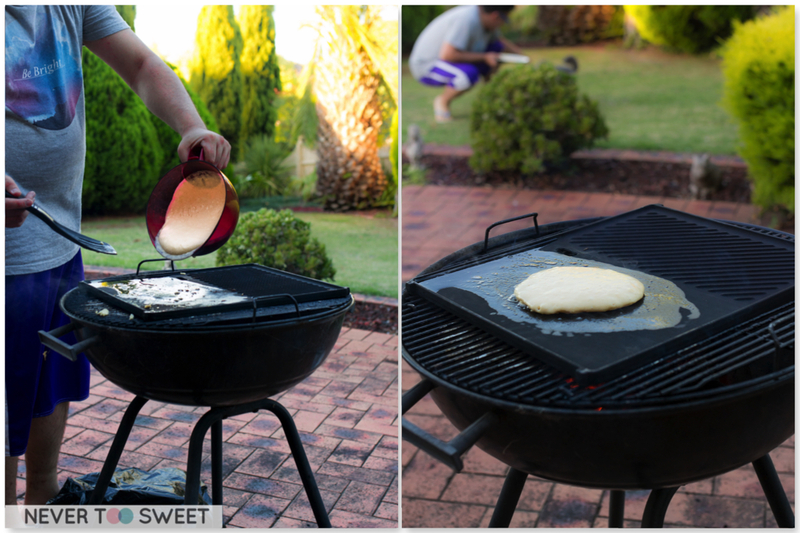 But how do you cook pancakes…. the liquid will all run through. Then Annoying Uncle said this recipe could work but I would need to get a hot plate. A what? I had no idea but apparently it’s a plate made out of cast iron that you place over the grill and it can be used like any fry pan I guess. 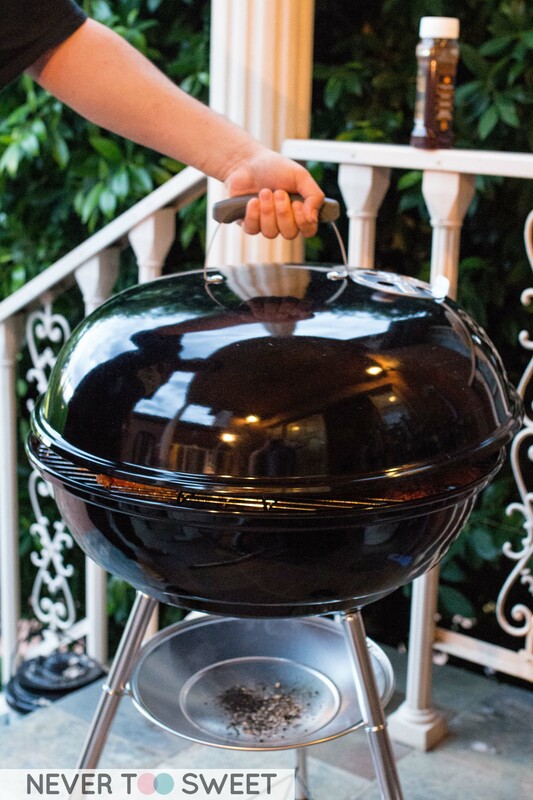 A funny side story, I didn’t have the weber or the chimney and all the equipment I needed back then…so Annoying Uncle had to lend me everything! Very grateful for his help and assistance 🙂 But you can purchase it all from Barbeques Galore So he explained to us how to use the chimney and light the firelighters and using an indirect method (BBQ Briquettes) on both sides of the weber and place the hotplate over it. 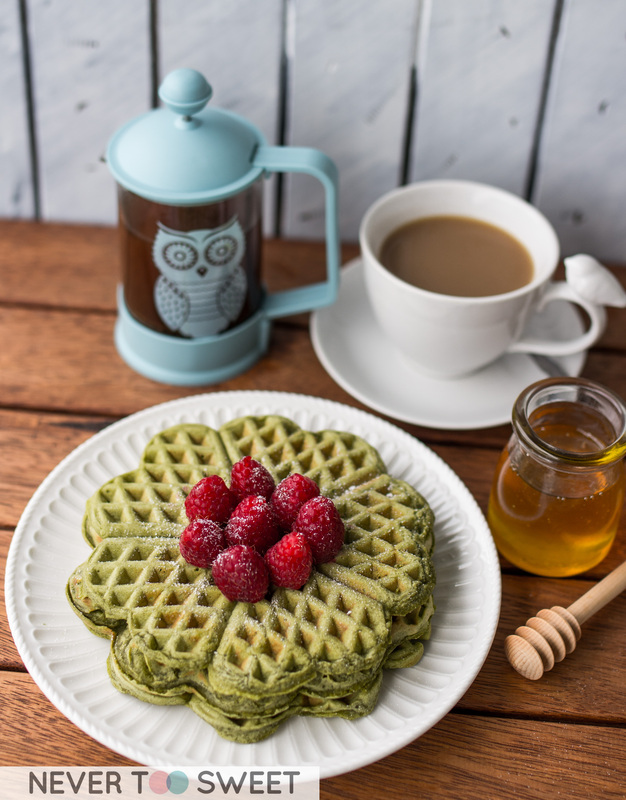 Will be sharing the recipe below, I’ll quickly run through the steps with you here first ~ basically once the plate is hot enough, you can poor the pancake mix and cook it as per usual. 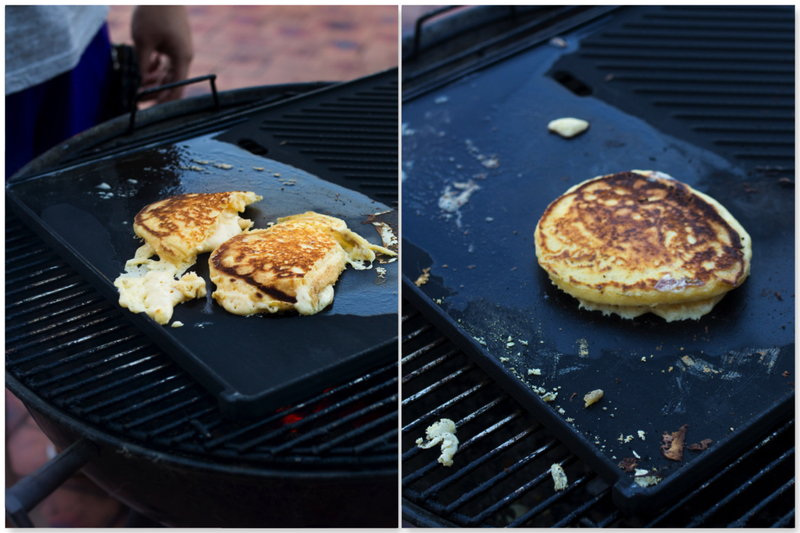 Just make sure you grease the hot plate very well as we found it to be a little difficult to flip the pancakes. As you can see, it can be tricky pouring the mixture and flipping it so take your time, and even if it doesn’t look nice I promise it’ll still taste good! 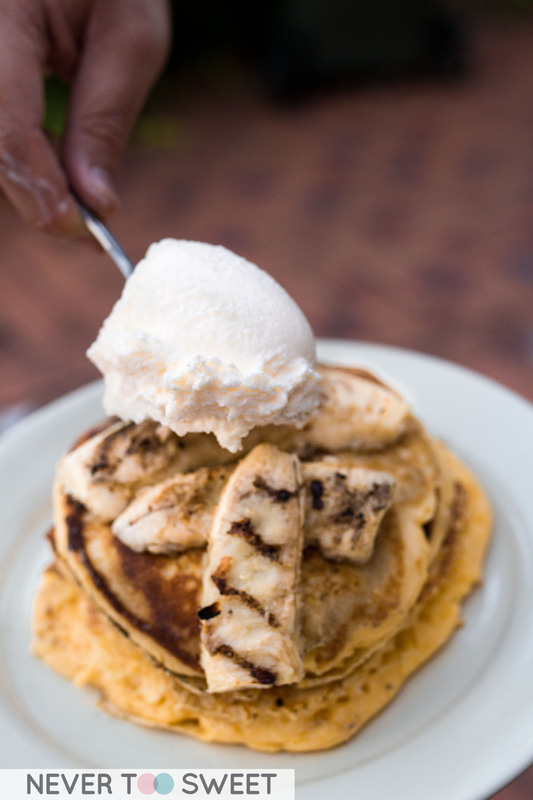 Once the pancakes are done or you can cook them at the same time, cut some bananas up and put them on the grill for approximately 3 minutes each side. That’s all the cooking required, now all you need to do is assembly it! 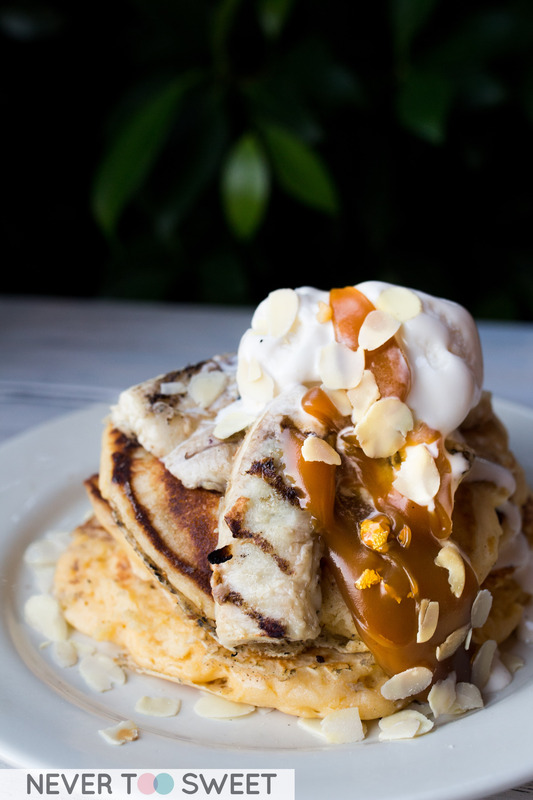 We had 3 pancake then topped it with vanilla ice-cream, grilled bananas and most importantly salted caramel with gold flakes because it’s from Burch and Purchese. 1) Heat the weber as per instructions, please refer to my previous post for more information about lighting the BBQ briquettes. 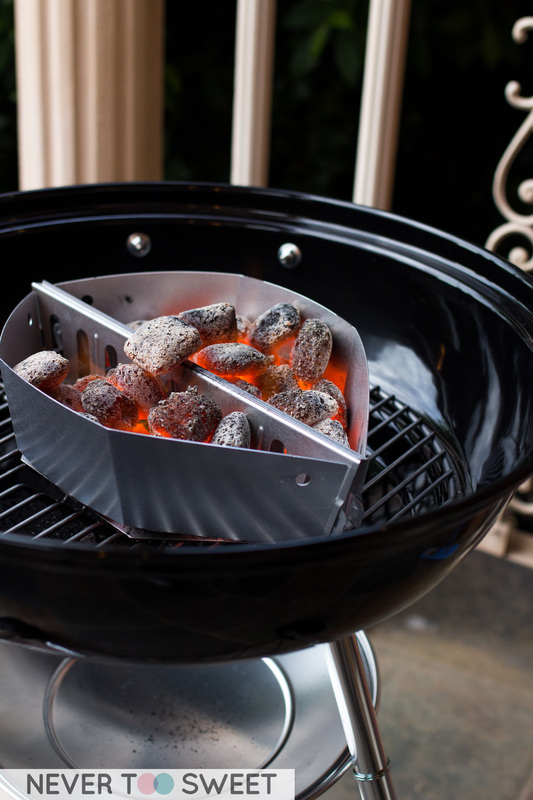 Fill the baskets full of charcoal and use an indirect method where they are placed on both sides of the weber. 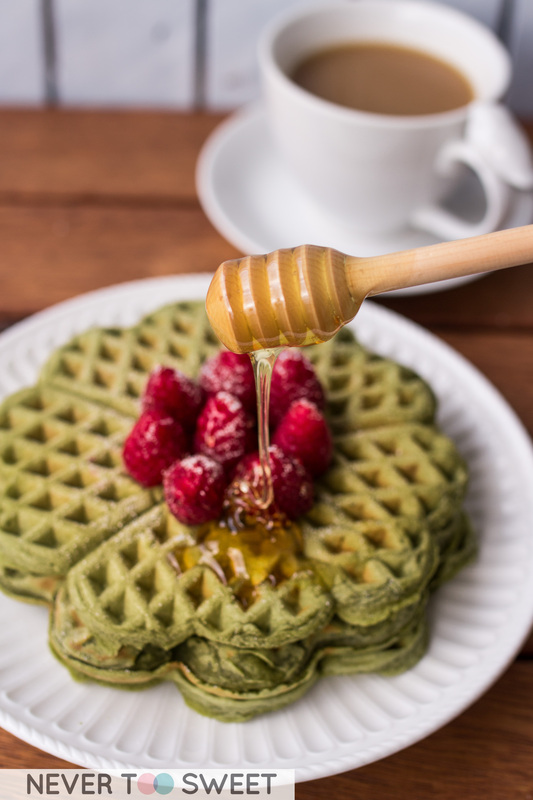 2) To make pancake mixture, place all dry ingredients (flour, baking powder, salt and sugar) into a large bowl and create a well in the middle and add the wet ingredients (beaten eggs, melted butter and milk). 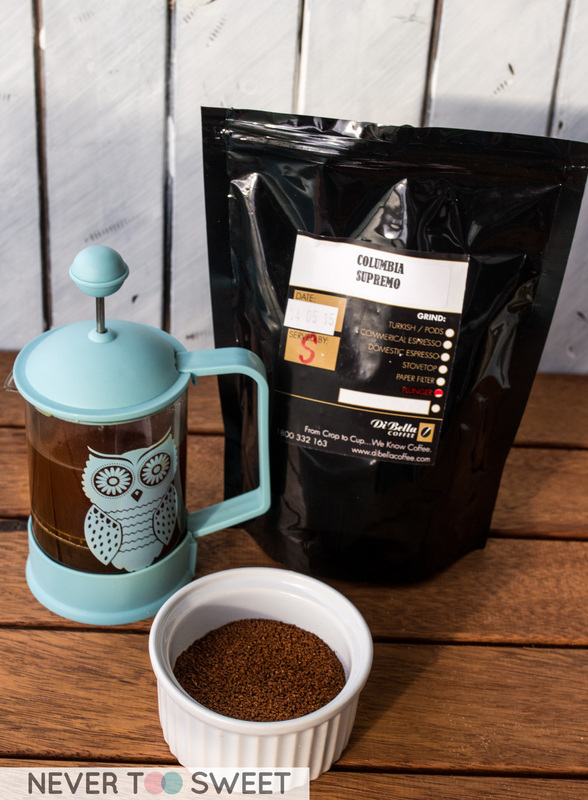 Mix it very well with a whisk or wooden spoon. You can then poor this into a jug to make it easier for pouring. 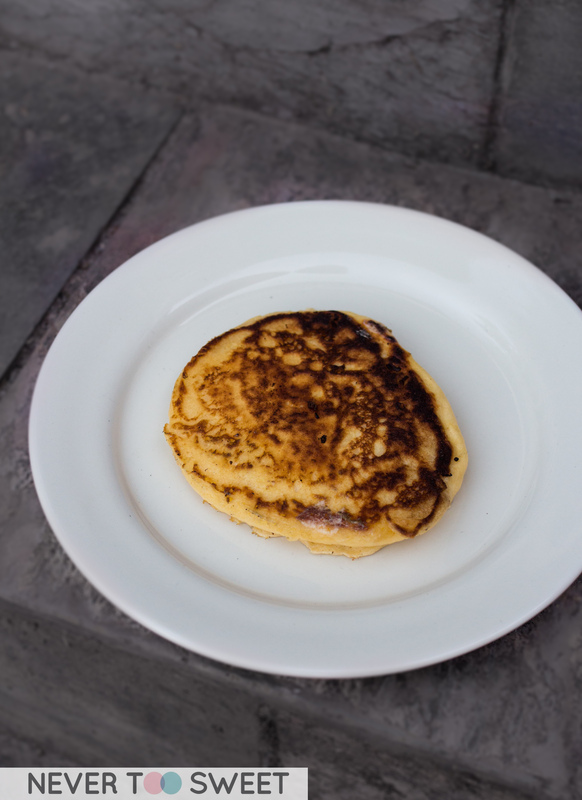 3) Place hot plate over the grill and wait for it to heat up, once hot grease well with butter and pour batter to make pancake. 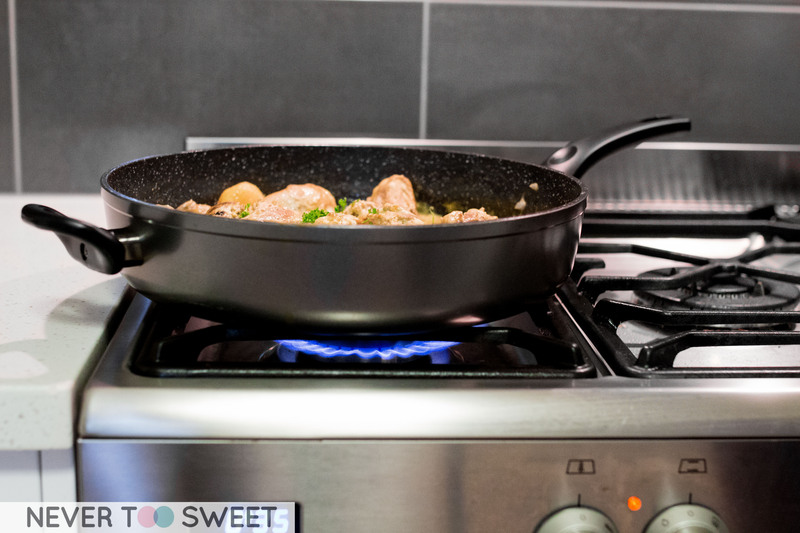 4) Wait approximately 3 minutes when bubbles start to appear, it means it is cooked and you can flip them and cook the other side. 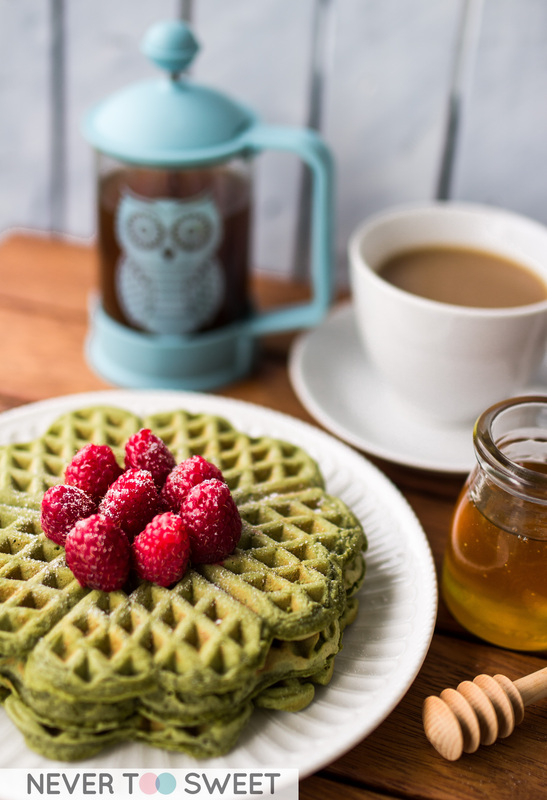 Place on plate and continue cooking pancakes. 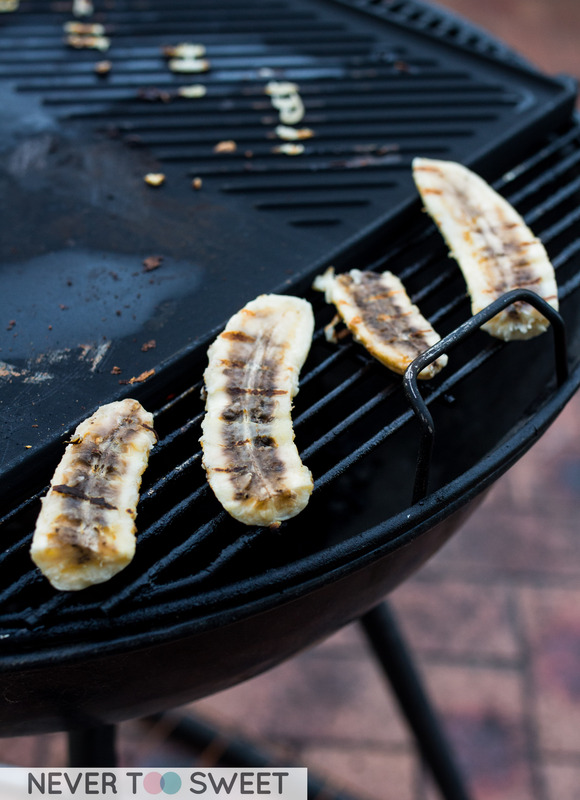 5) Cut bananas lengthways and put on grill directly and cook for 3 minutes each side. 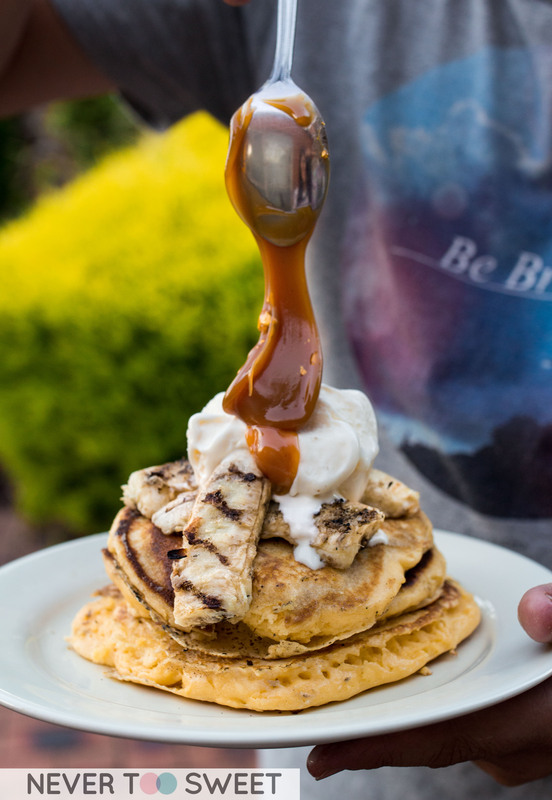 6) To serve, place pancakes on plate, 1-2 scoops of vanilla ice-cream on top, grilled bananas on the side and finally pour salted caramel over! And that’s it! 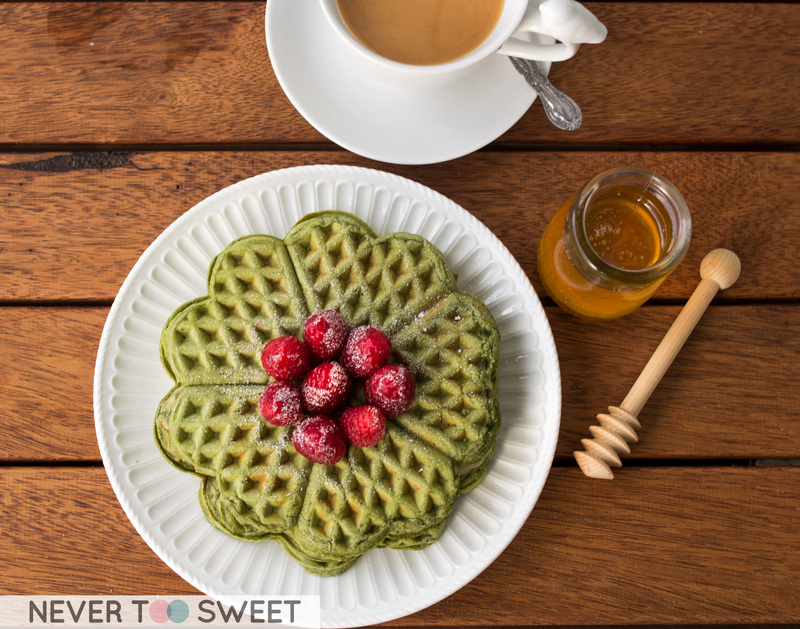 Pretty easy and a great dessert to make using the weber 🙂 Actually you can even make this for breakfast! 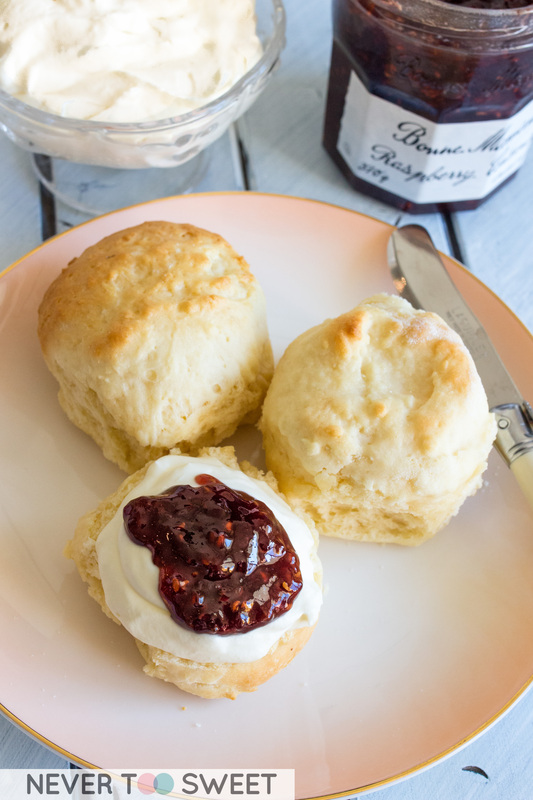 Please let me know if you try this recipe! 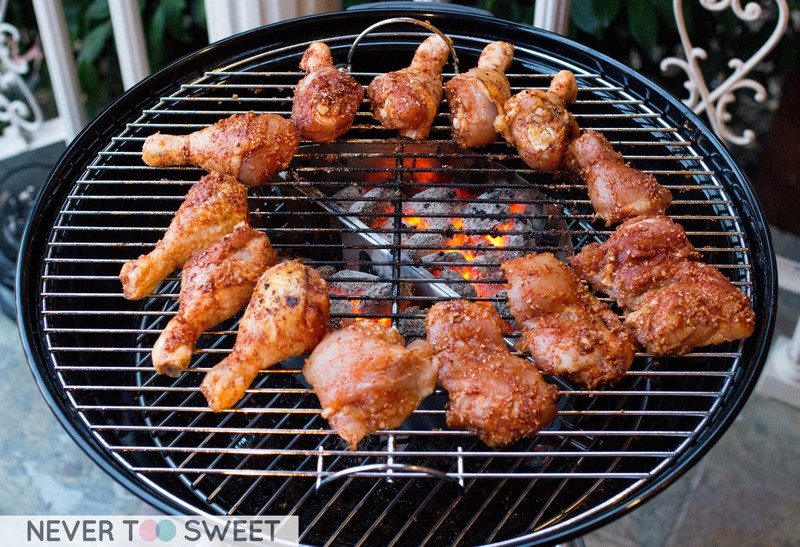 This is a sponsored post by Barbeques Galore, however, recipe and opinions are all honest. Australia is definitely a nation who loves their barbie (barbecuing) especially on weekends and special occasions, it’s part of our culture 🙂 I worked in a team of all middle aged men (I hope none of them are reading this blog post haha) and it’s become a habit for them to come to work on Monday and discuss their success or failure stories on the weber over the weekend. I usually just smile and secretly roll my eyes. 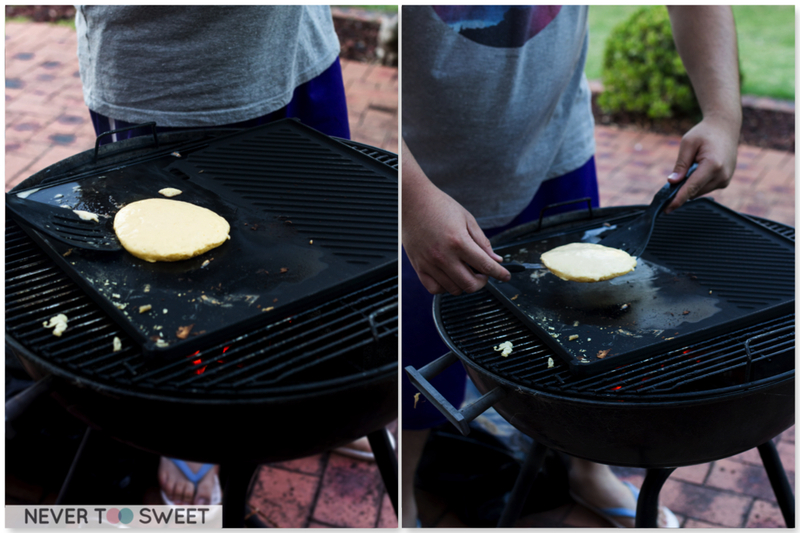 I’ve never understood how it all works…because it always took us more than an hour to light the BBQ briquettes. 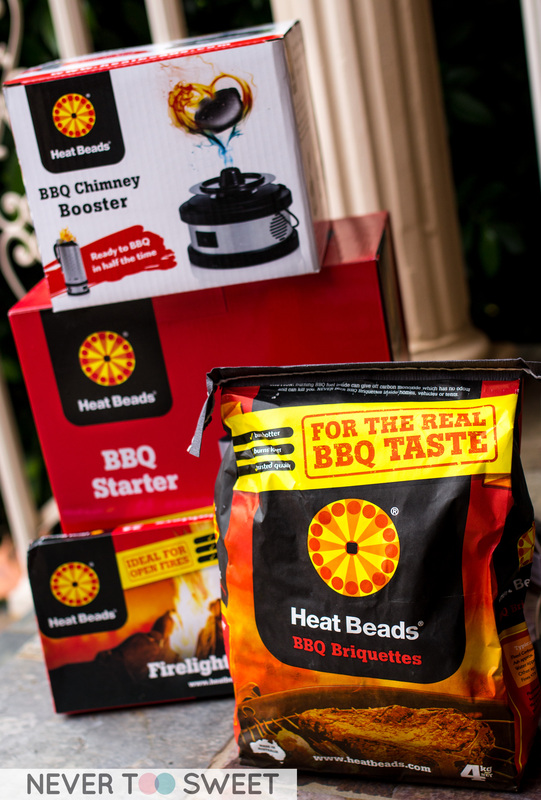 That’s why when Heatbeads® asked if I would like to try their new Chimney booster, which can light the BBQ fuel in 12 minutes I was very intrigued how it all works! 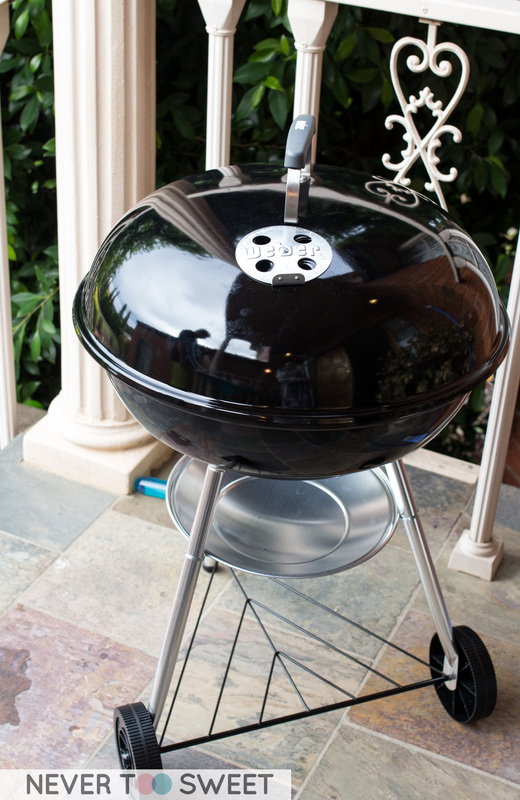 Headbeads® was very generous and sent me a brand new Weber kettle which you can find in most hardware stores. They also sent me a Headbeads® Chimney, the new Chimney Booster, BBQ briquettes, firelighters and everything else I needed to create a recipe. 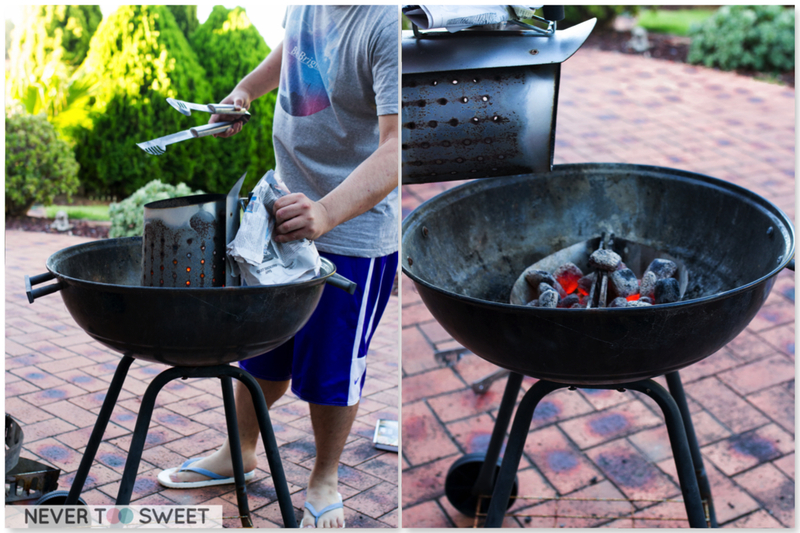 I never thought I would get excited over a new Weber but it was so shiny and it was quite entertaining watching Mr Bao build it. Cupcake kept stealing the nails and parts and we had to chase after him, such a naughty puppy! Anyhow, moving onto using the new chimney and chimney booster, I had my usual helpers Mr Bao and our ever so eager puppy Cupcake who just walked around and sniffed everything. But I still needed some professional help, because I honestly don’t know what to make on a weber, so I recruited my manager AKA Annoying Uncle to help me 🙂 He did a great job explaining to me how the Chimney and also the Chimney booster works and recipe ideas that were quick and easy. Annoying Uncle this is what REAL Chimney LOOKS LIKE! I have to rub this photo in his face, because he showed and lent me his very very rusty looking chimney so I wanted to show off my spanking new one! I’m going to send you to the Heatbeads® website for more information about there new Chimney Booster and how it works. 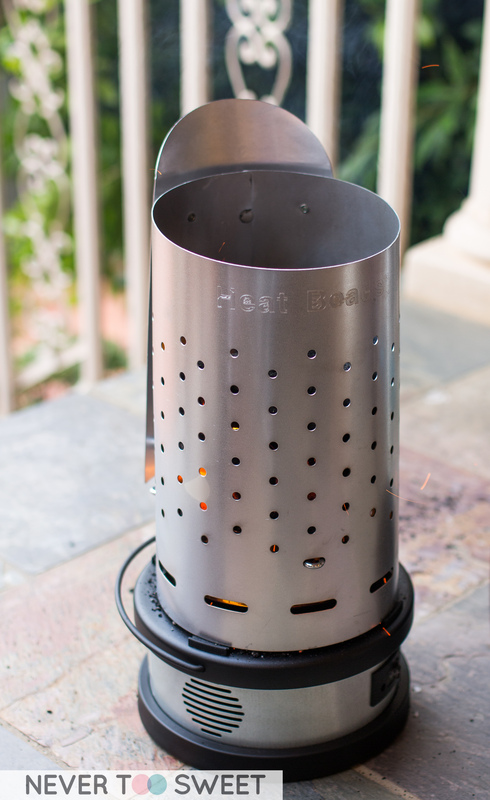 But I’ll try and give you a simple explanation here, the chimney starter is used to light the BBQ Briquettes quicker and because the air circulates inside. Generally, that takes about half an hour to light them. 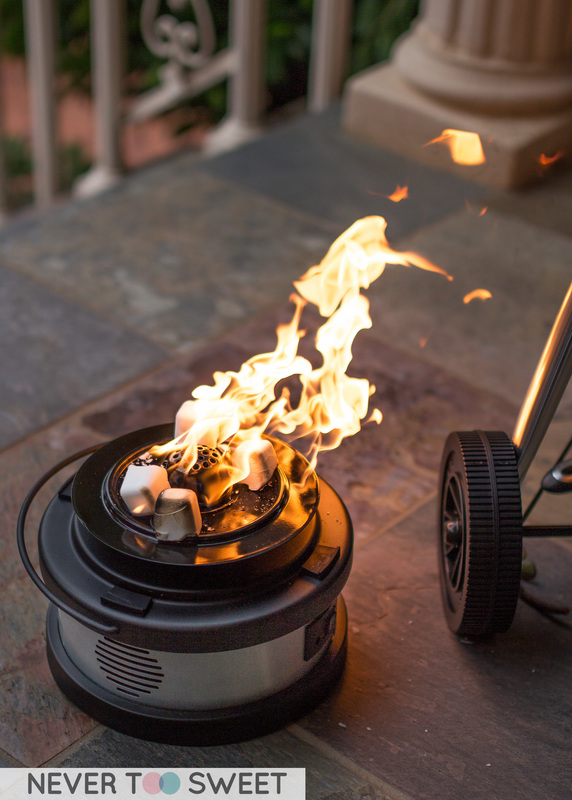 However, the Chimney Booster has batteries and accelerates as airflow is being directed up the chimney from the Booster to heat the BBQ Fuel quicker. As you can see it’s quite easy to use, just light the firelighters, place the chimney full of Heatbeads® over it and let it works it’s magic! I was really impressed at how quickly the BBQ briquettes became ashes all over which Annoying Uncle said it means they’re ready to be used. 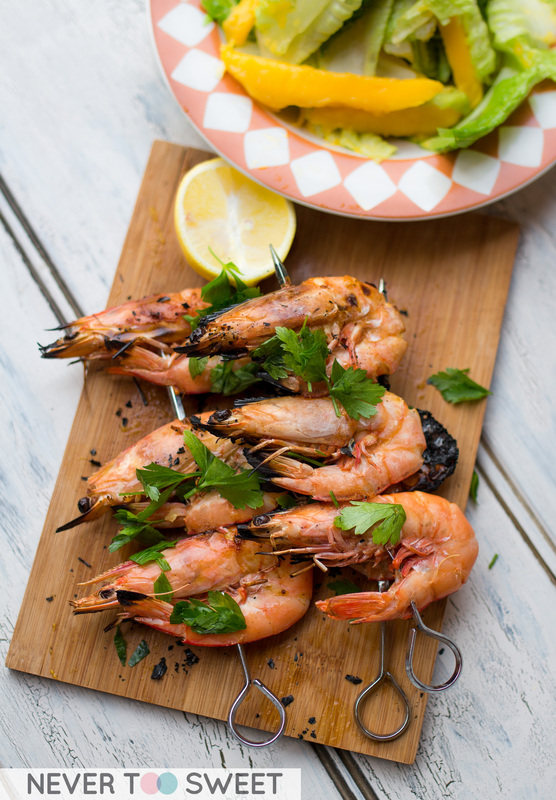 The first recipe I tried was a super simple grilled Kingprawns, so it required direct heat. So we plead the BBQ briquettes, into the baskets and into the middle of the weber. 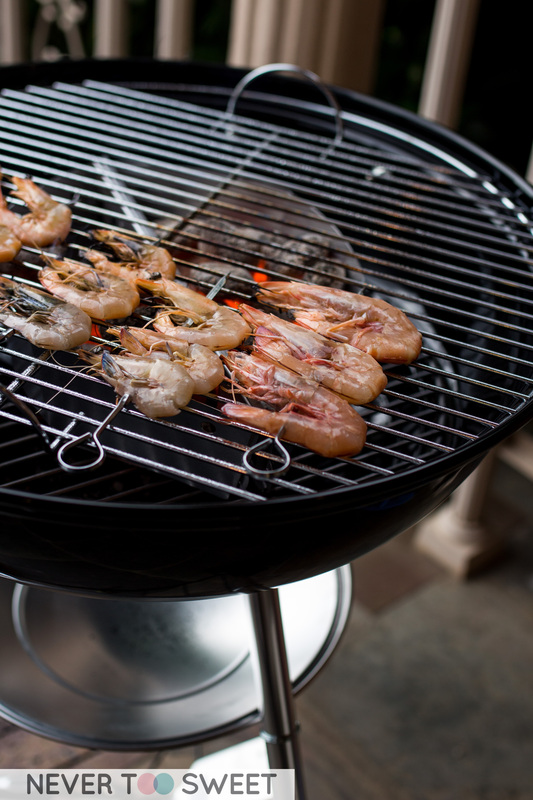 We then placed the grill over and waited for the king prawns to cook about 4-6 minutes one each side depending on the size of the prawn. Once cooked and they’ve turned a gorgeous orange colour, sprinkle with salt and pepper, parsley and lemon. We also paired it with a simple mango salad 🙂 They were so easy and quick to make and kept Mr Bao very happy! 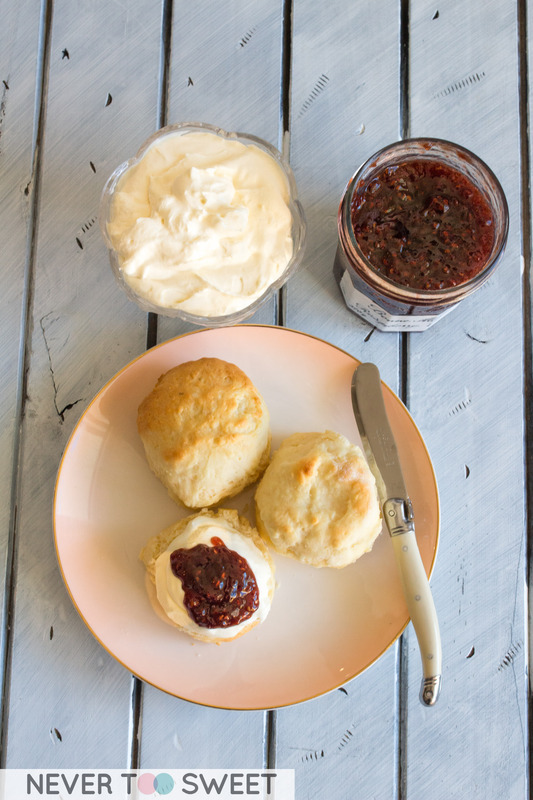 I didn’t write a recipe because it was so simple I’m sure you’ll be able to it too, however, if you want a recipe leave me a comment or shoot me an email! Next up is the quick and spicy BBQ Chicken wings, it only takes about 35-40 minutes to cook on the weber, which is still pretty quick given that you brine it at least 4 hours or even overnight. 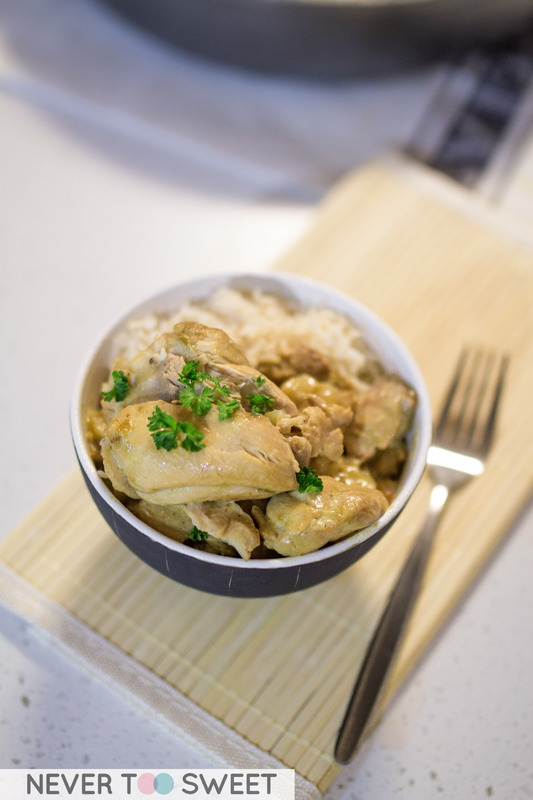 The spicy flavour also comes from the dry spice mix that is rubbed onto the chicken before being cooked. 1) Make the spicy rub first, mix all ingredients into bowl and set aside, you can do this well in advance as the mixture will stay fresh in an airtight container in the fridge. 2) Now move onto the making the brine, in a large saucepan heat up 375ml of water, store in all the other ingredients and stir until the salt and sugar dissolves. Turn off the heat and pour the liquid into a heatproof bowl and stir in 250ml of cold water and set aside. Once cool enough place into the refrigerator for an hour before adding the chicken into the brine and return to the fridge for 4 or even overnight. 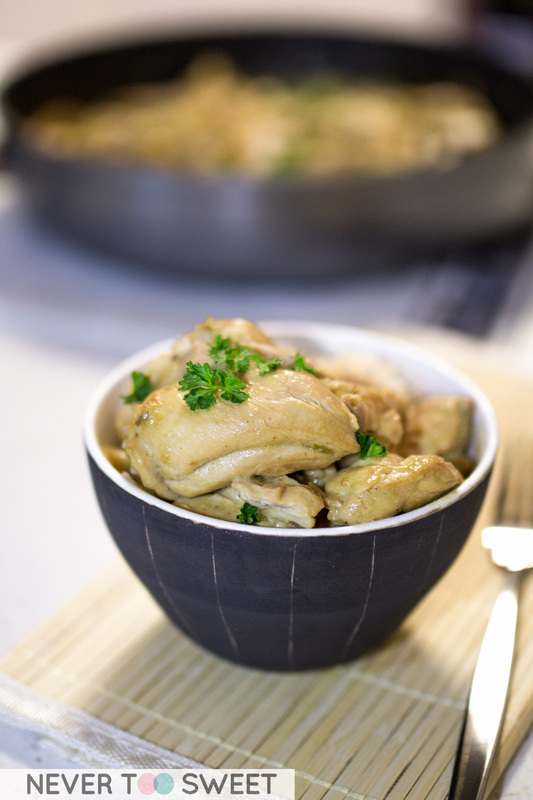 3) When its time to cook, drain the chicken and discards the brine, remember to pat the chicken dry and let them return to room temperature before cooking. 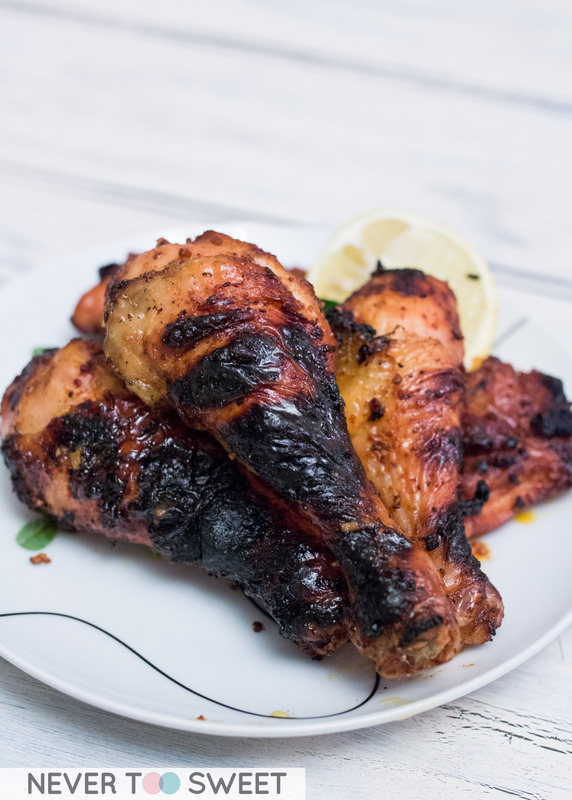 4) Rub the spicy mix all over the chicken and place it over the weber using an indirect heat method, where the BBQ Briquettes are placed on each side. 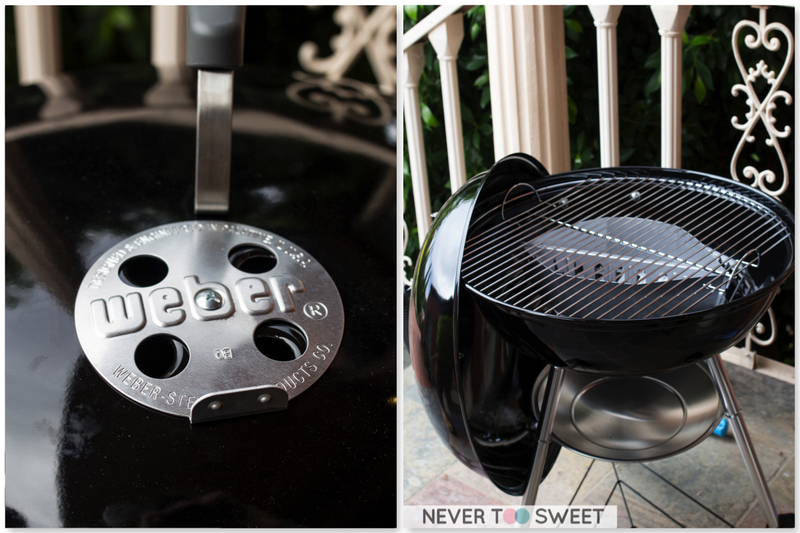 5) Cover weber with the lid and cook for 35-40 minutes, turning every 10 minutes. 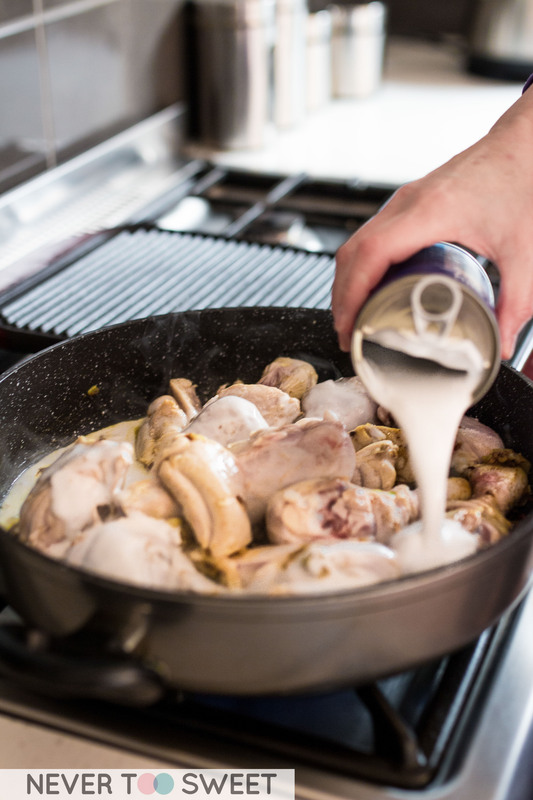 Remember to check whether chicken has cooked through before eating, poke the thigh to check if the juice runs clear it is cooked and ready. 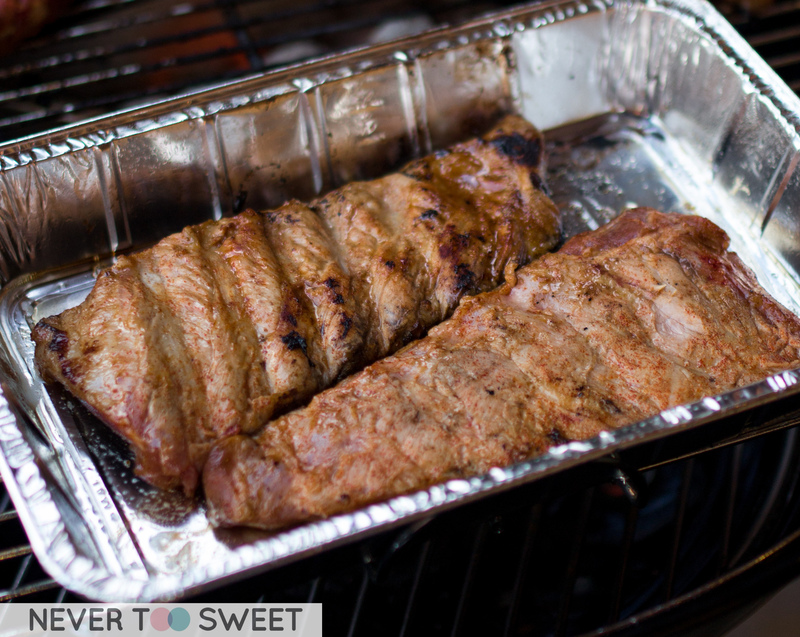 Last thing we made that night were these Sticky Pork Ribs, they were another easy recipe simple marinate them over night and cook them on the weber. It takes about 45-50 minutes or even longer depending on the thickness of the ribs. 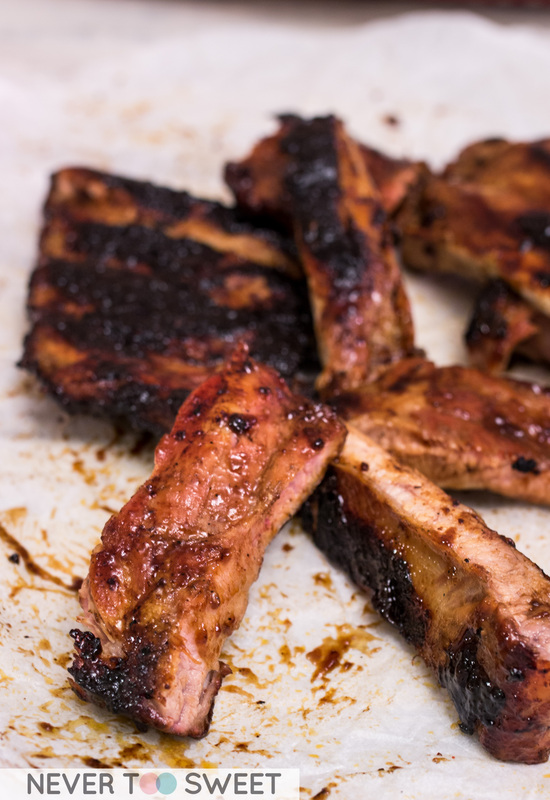 1) Combine beer, sugar, Worcestershire sauce, golden syrup, mustard powder, paprika and tabasco in a bowl, add pork ribs and coat all over. Cover and place in the fridge for 4 hours or overnight to marinate. 2) When ready to cook, drain the ribs and put the marinade a side. 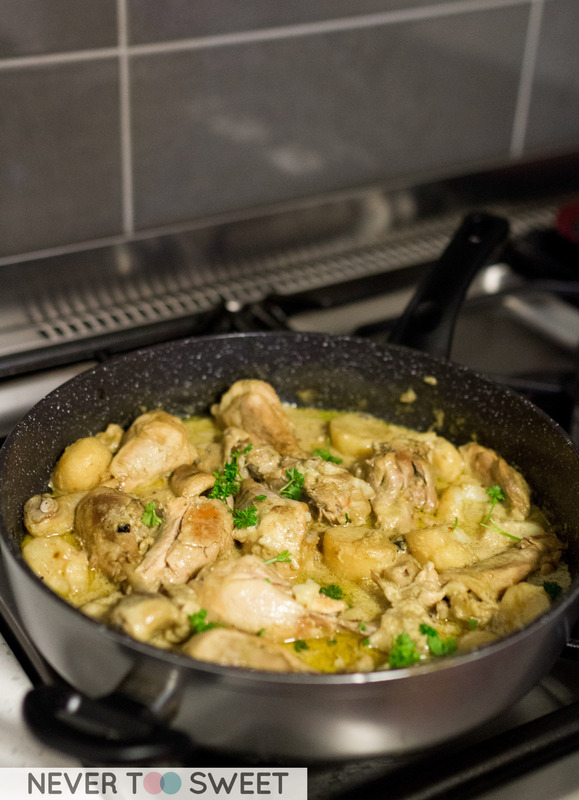 Poor marinade into a saucepan and place over low heat and simmer until mixture thickens. 3) Oil the grill or hot plate well, cook the ribs making sure you turn and bast very often to avoid it from drying out or burning (every 5 to 10 minutes). 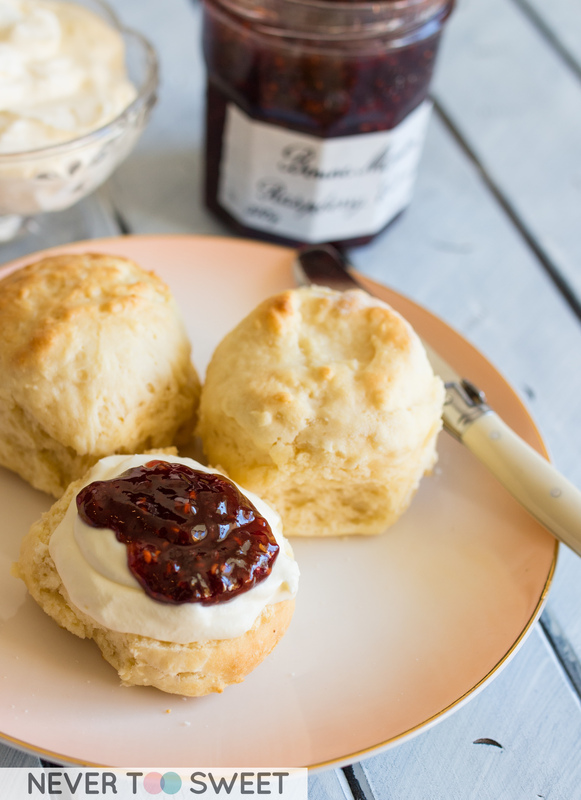 Cook through and until its sticky and golden, now enjoy! 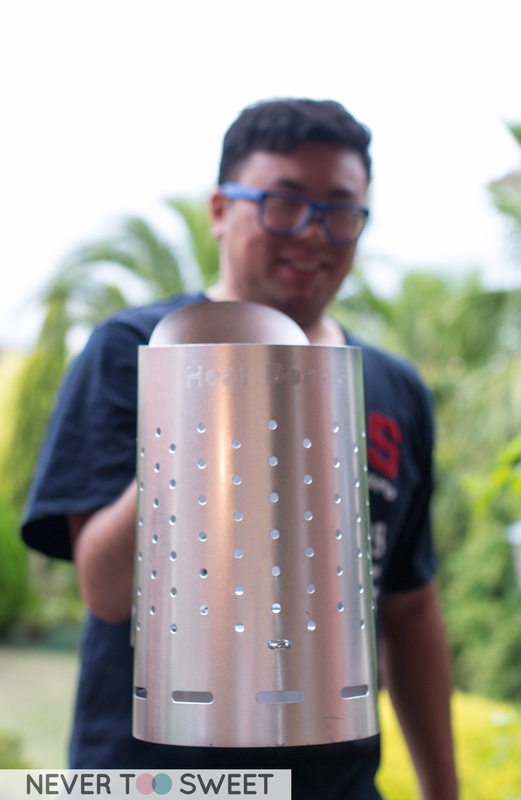 Overall, we had so much fun playing with our new BBQ toys and I can finally understand a little more why the guys at work are so obsessed with barbecuing and also their chimney. 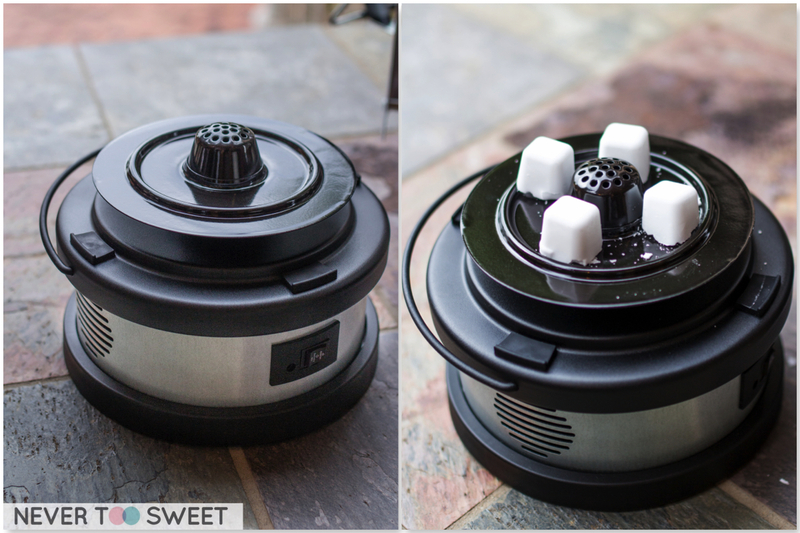 With the Chimney booster it really cuts the time of lighting the BBQ briquettes by a lot which is great as I am a very impatient person and get hangry (hungry x angry) all the time! Now I can’t wait to show off to all my colleagues what I’ve made and make them jealous of my new Chimney booster! Love is in the air!!! Valentine’s Day is just around the corner less than 48 hours!! 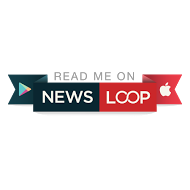 My Dearest Readers are you prepared to spoil your loved ones? 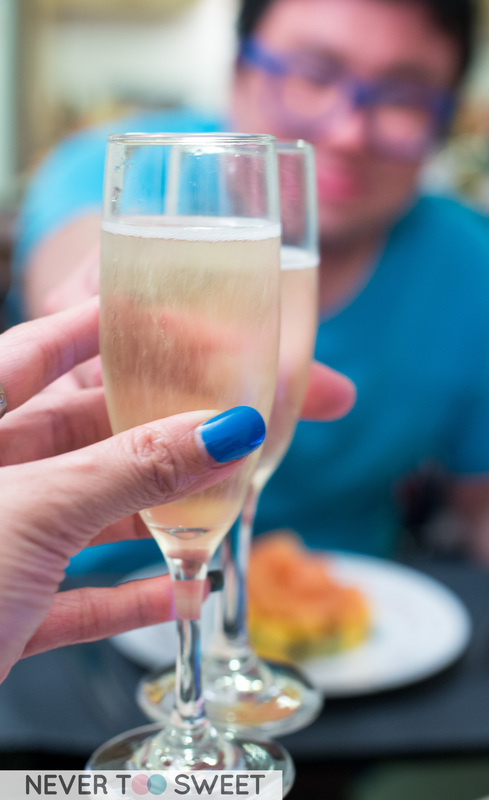 I know many say it’s a very commercial day and everyday should be Valentine’s day but… I really love the excuse to dress up and go out for a date lunch or night 😀 Thanks you Superior Gold Salmon and Keep Left PR, Mr Bao and I had a Pre-Valentine’s Day dinner at home last weekend. 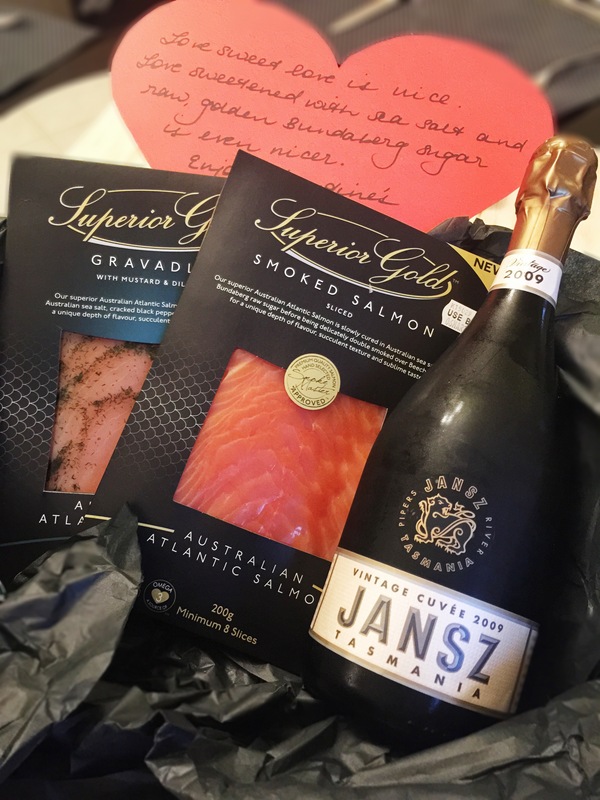 We were so spoilt with the hamper with the smoked salmon, bread, champagne and even champagne glasses hehe For those who are not familiar with Superior Gold Smoked Salmon, they use Australian seafood and source the salmon responsibility and is easily available at local supermarkets 🙂 The ever lovely Sarah from Keep Left gave me a couple of recipes and given my cooking skills aren’t too great… I definitely chose one of the easiest to make and impress Mr Bao. I chose the Superior Gold Mango and Avocado Salsa which is very easy to make, no cooking involved, only some chopping and assembling then it’s done! 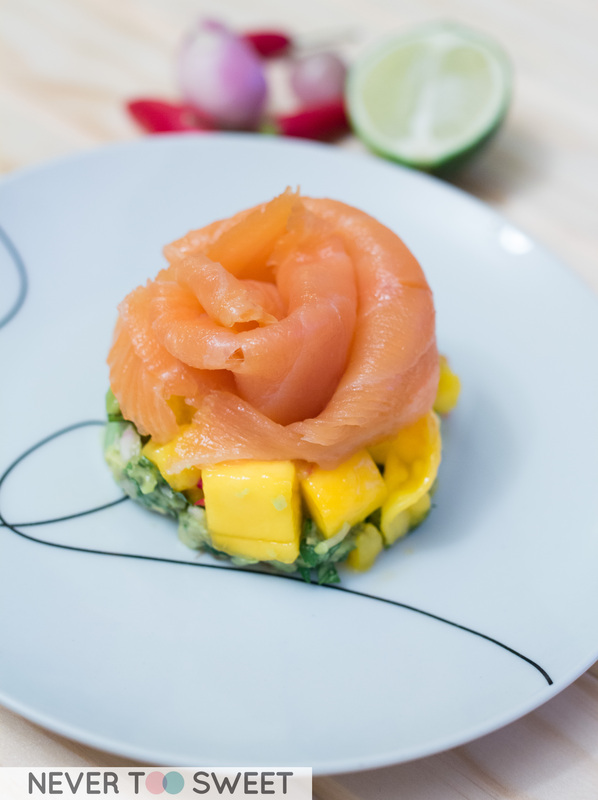 Mr Bao was certainly impressed with it and thought the smoked salmon on top looked like a rose haha I will be sharing the recipe below for you guys to try too! 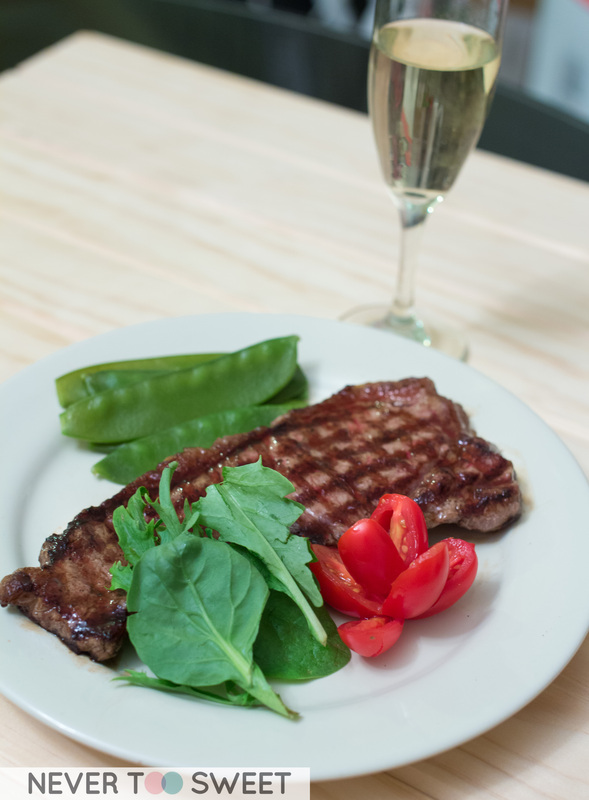 As for our mains, I handed the cooking back to Mr Bao and he decided to keep it simple and make steak with greens served with a bubbly glass of champagne. He swears by the Heston method where he flips the steak every 3 minutes, its always perfectly medium rare! 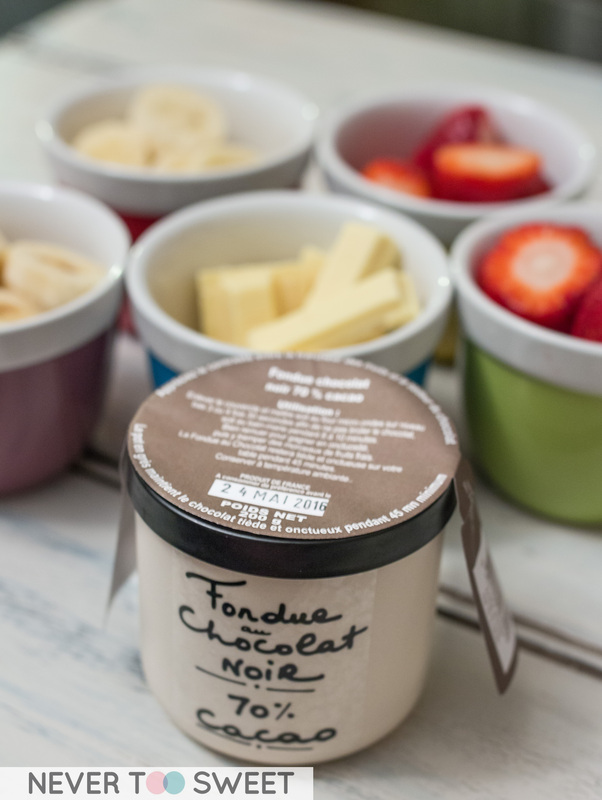 I once again cheated for dessert haha I bought a little chocolate fondue from Paris, basically it’s a pot of 70% cacao chocolate in a ceramic pot you can head it up in the microwave, bain marie or oven. 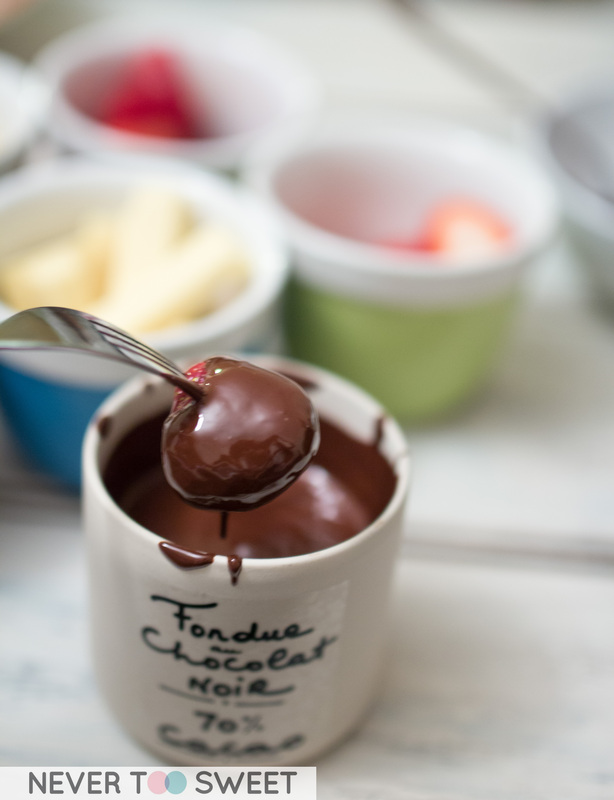 Funny story is I didn’t realise all instructions was in French so I had to go to Facebook for translation help 😛 I used the microwave method, because I’m lazy haha super easy, just microwave it in 30 seconds, take it out and mix keep repeating 3 to 4 times until its all melted. I served it with strawberries, banana and to make it extra special and sweet white chocolate Kit Kats 😀 Strawberries are still the classic and my favourite hehe what’s your? 1) Mix avocado, shallots, coriander and juice from 1/2 a lime into bowl. Season with salt and pepper. 2) Place avocado mix into cylinder, firmed press down. 3) Place mango and chilli into a bowl and mix together. 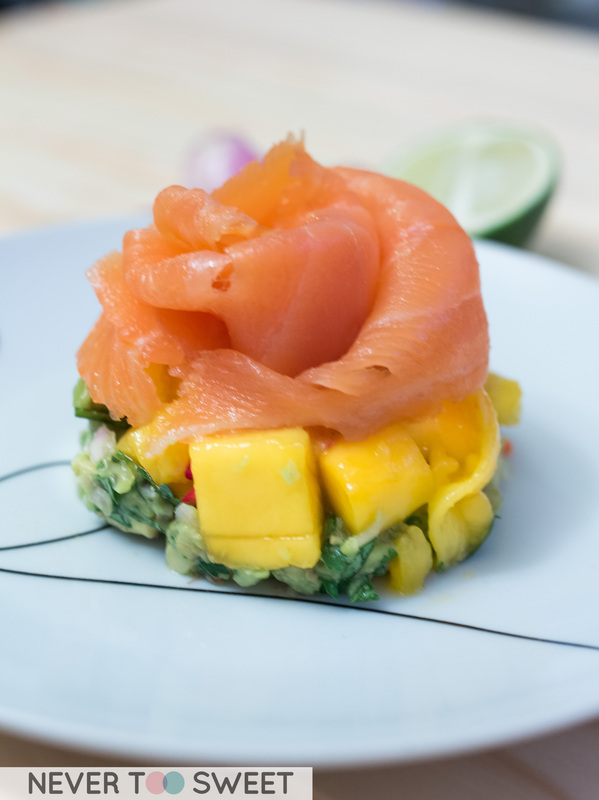 4) Top avocado with mango mixture, place smoked salmon on top to serve. 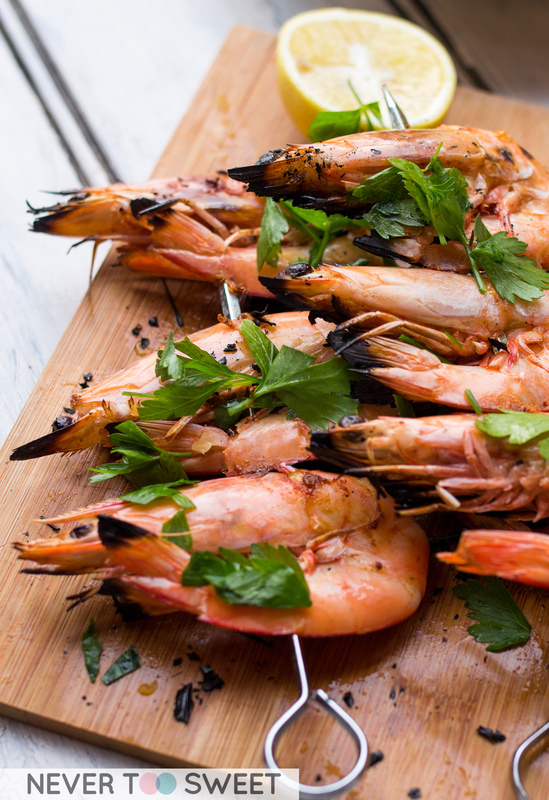 5) Remove cylinder, sprinkle with sea salt and pepper and serve with lime.